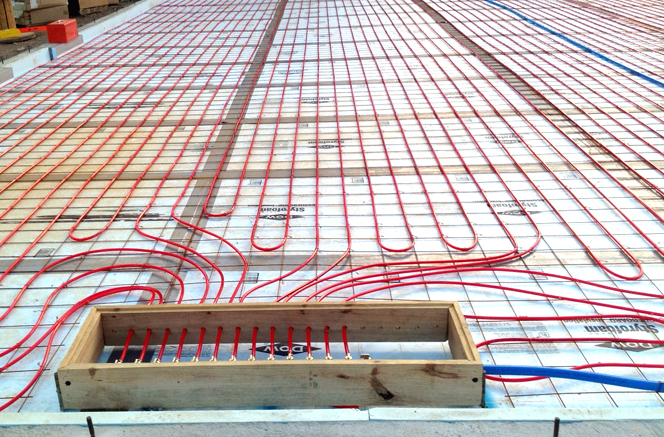 Infloor Heating Systems has become known for designing original radiant heating systems and meticulously installing them for long-lasting, peak performance. And for good reason. They continually step up to new challenges and go where no other company like them has gone before. Large areas to heat separated by 150’ of outdoor space meant Infloor Heating Systems took to the drawing board to engineer a system that would require new techniques and installation methods. “A project with these requirements had not been attempted before by us,” said Michel Willburn, President of Infloor Heating Systems. The constant, even, flameless heat is also important for the work Proulx Homestead Building is doing at the shop. 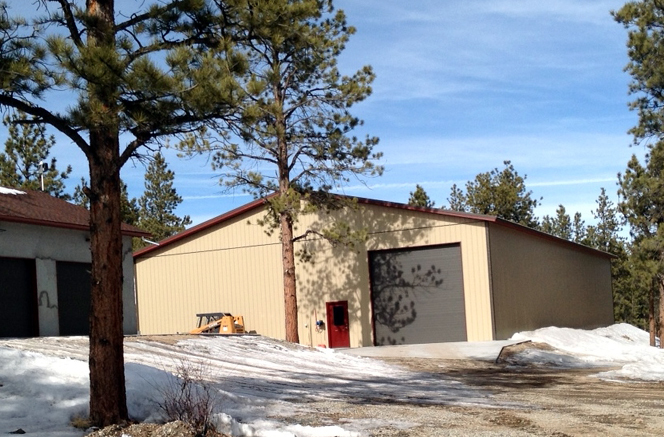 “The radiant Infloor heating system is ideal for the painting, staining, and woodwork we do there,” Steve identified. Lacquer and other painting chemicals are highly flammable, making the presence of flames and heaters very hazardous. Even with 16’ ceilings, Steve said they continually experience nothing but sheer comfort with a temperature that is always within one degree. However, this method meant other design changes were needed. 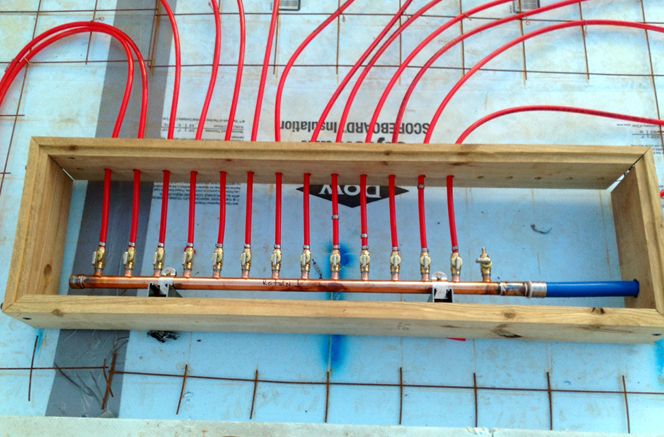 “To do this, we had to embed the manifolds into the concrete slab,” Michael shared. “Normally, they go on the wall. The shop space was too big, so we changed it,” he said. Every 16’, manifolds were placed in the slab to accommodate the needs of the system. 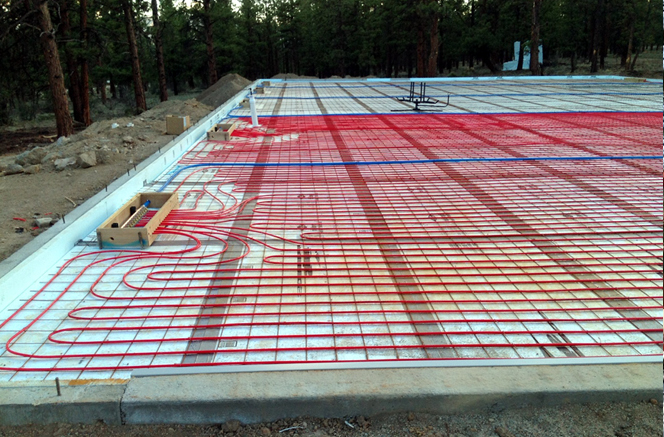 Infloor Heating Systems also used 4” blue board under the concrete slabs, increasing the rating to an R-20. That means it has a quicker response time, reflect heat up to 20 times faster. “The system runs way less because it holds the heat,” said Steve. 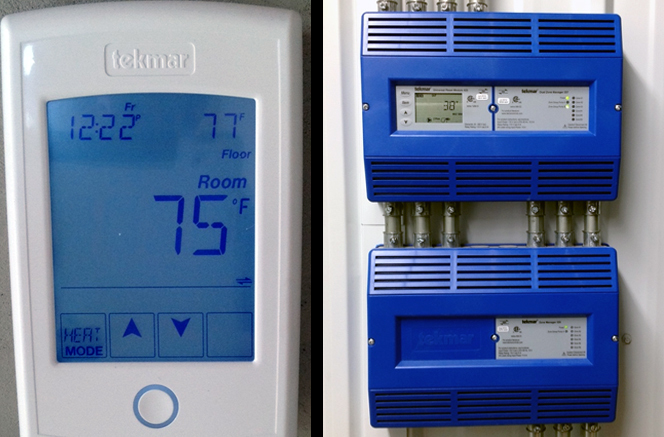 At the heart of it all is a tekmar Control System, perhaps more accurately representing the “brains” of the system, which is responsible for staging two modulating condensing boilers and controlling a 60-gallon side–arm hot water tank for domestic hot water. 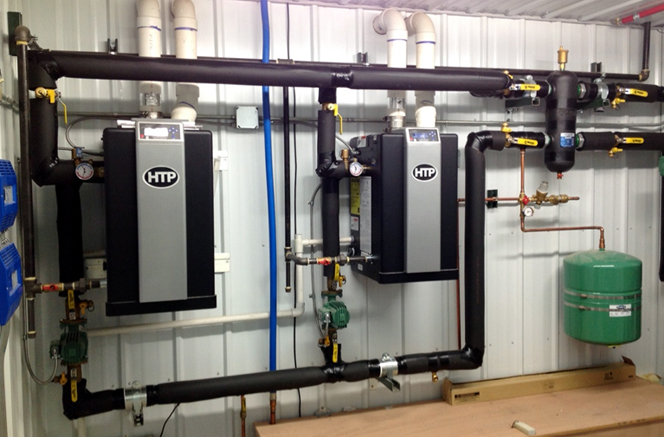 One boiler runs at 110,000 BTU and is always called upon first for hot water demands. Alone, it has the ability to provide 90% of the hot water necessary for the entire 9,000 sq. ft. space. If needed, a second boiler running at 199,000 BTU is called upon to provide additional heating. The tekmar Control System consistently maintains the area temperature within’ one degree. “The thermostat never changes,” Steve recalls. “It’s like living in a magic house. The temperature is always consistent and we can’t hear a thing. We forget it’s even running most of the time,” he said. 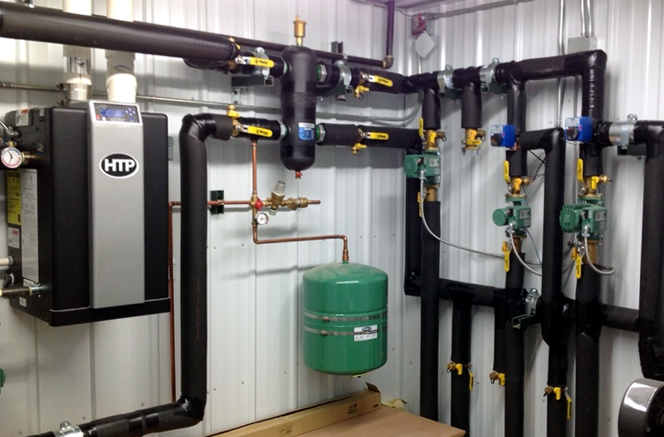 “Incorporating the tekmar Control System is a key component to the efficiency of this system and maintaining peak performance for consistent heat and comfort,” said Michael Willburn. 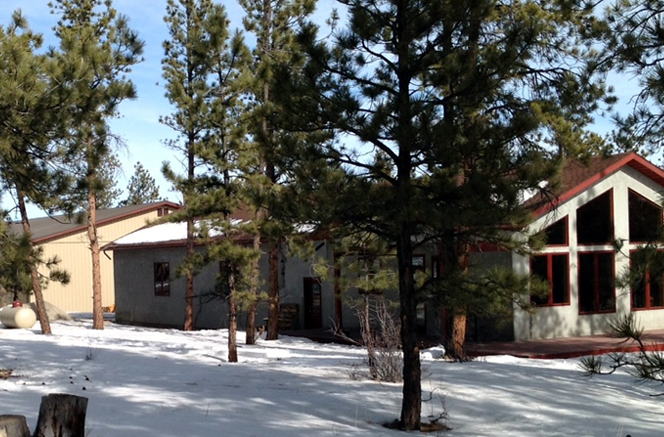 Proulx Homestead Building is located in Buena Vista, CO specializing in general contracting and home building for the past 20 years.